Japanese Prime Minister Shinzo Abe said he had a 40-minute phone chat with President Donald Trump in which they analyzed North Korea's latest missile launch and what action to take. Abe said in a statement, "Japan's and the U.S. positions are totally at one." Both nations were in "total agreement" that an emergency meeting was needed at the U.N. Security Council to step up pressures on North Korea after what he called an unprecedented threat. 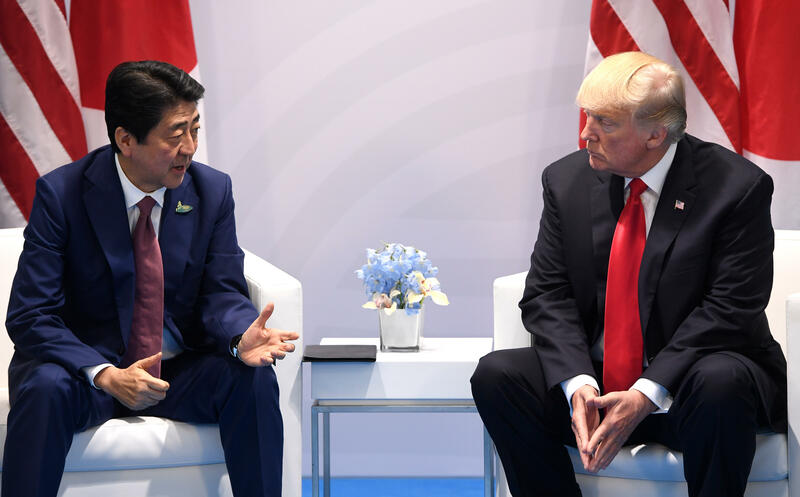 Abe also said "President Trump expressed his strong commitment to defending Japan, saying he was 100 percent with Japan as an ally." Abe reiterated he believes that stepping up pressure on North Korea is needed. In a readout following the call, the White House echoed Abe's calls for stepping up pressure, saying "President Trump and Prime Minister Abe committed to increasing pressure on North Korea, and doing their utmost to convince the international community to do the same." Mr. Trump added in a statement released Tuesday morning, "the world has received North Korea's latest message loud and clear: this regime has signaled its contempt for its neighbors, for all members of the United Nations, and for minimum standards of acceptable international behavior." He added, in a new warning to the regime, "Threatening and destabilizing actions only increase the North Korean regime's isolation in the region and among all nations of the world. All options are on the table."